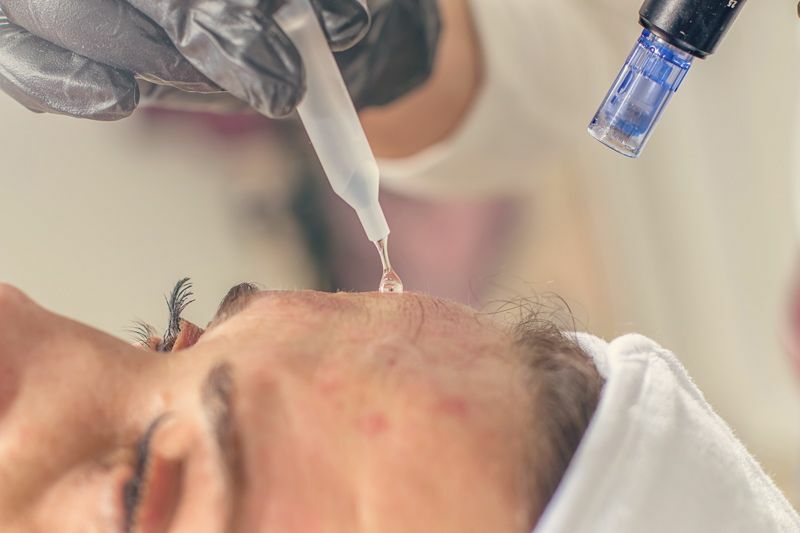 Wellington Cosmetic Permanent Makeup – What is Skin Needling / Dermal Needling / Dermal Stamping? : Wellington Permanent Makeup: Lasting Beauty Cosmetic Tattoo Wellington by Claudine Stace. Wellington Lash Studio Permanent Makeup, Wellington Microblading, and Medical Tattoo work. Lower Hutt, Wellington. What is Skin Needling / Dermal Needling / Dermal Stamping? Skin Needling/Dermal Needling/Dermal Stamping, also called micro-needling therapy or collagen induction therapy, is a minimally-invasive and non-surgical procedure for facial rejuvenation and scar revision. It involves the use of a micro-needling device to create controlled micro skin injury which causes the body to generate collegen as a result. The result of Skin Needling is a firmer more hydrated, healthier-looking skin, better skin texture and skin tone, noticeably less wrinkles, and a gradual removal of scar tissue. In terms of results, skin needling, she said is like a “mini facelift” treating fine lines, pigmentation, uneven skin tone and texture. I could expect my skin to feel tighter straight away with the results becoming more evident around three-to-six weeks later. At Lasting Beauty, we use an industry standard skin aesthetics dermal pen (DermaPen) with disposable micro-needle cartridges. Each treatment includes a Hyaluronic Acid serum by SkincareRX which gets micro-needled into the skin, facilitating enhanced collegen growth and restructure. For those who would like a non-injectectable filler, we offer Princess Rich serum for the removal of deep lines and an overall increase in skin hydration. We also have serums espicially for Dermal Lift, Acne Repair, Skin Tone Therapy, Hair and Scalp Mesotherapy, and others. What is Dermal Needling Most Effective for? Am I A Good Candidate for Dermal Needling? We do not recommend this procedure for anyone who is pregnant or breastfeeding, with skin tone depths above a Fitzpatrick 5 that are at risk of hyperpigmentation, those taking blood thinners, taking roaccutane or similar acne medications or clients with blood diseases. We offer complimentary consultations to all of our clients and can eliminate the risks during this appointment. For most people, Skin Needling is a mild to medium pain that is easily alleviated with anesthetic gel applied before the session. We also recommend that you take a dose of Paracetamol before a session. As with any needling or tattooing, limit alcohol the night before and also limit your intake of coffee and caffeine. Immediately after the dermal needling treatment, the client can expect some redness and slight swelling around the areas that have been treated. The skin may feel warm to touch, similar to a sunburn sensation and this usually only lasts for 1-2 days post-treatment. 3-5 days post-procedure, it is normal for the client to experience their treated skin becoming a little bit dry and flakey. This is due to the dead skin cells being stimulated upwards. We recommend using the provided aftercare (hydrafx) 2-3 times a day to keep the area moisturized and avoid picking the skin. By the 2nd day you will be able to use a mineral-based foundation. Collagen growth maximizes in 6-10 weeks after the initial session. For best results, it is recommended to have three sessions, each 4-weeks apart. This is especially true for those over 40-years of age, where the skin collagen level has already started to decrease. Sun-damaged skin, excessively dry skin, and scars (from acne, surgery, and accidents) may require further treatment. Dermal Needling can also be done as a pre-treatment for our Fibroblast/Plamere PlasmaPen skin service to further encourage the growth of new collagen. What Will I Need to Do After A Session? Two main things: keep the skin hydrated, and use sunscreen! Some people are prone to hyperpigmentation (darkening of the skin, due to injury). In these cases we have anti-melanin skin products which will alleviate this problem. We also carry the entire Skinnies SunScreen range and pigmented sunscreen (B&B Cream) to help keep you looking your best and sun-protected.